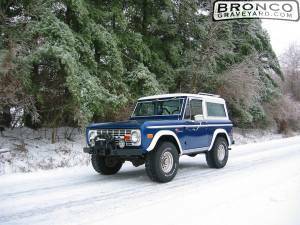 1977 Bronco Sport all work done by owners. Ray & Roberta Rentchler from Indiana. She's not perfect but she wins lots of trophies and turns lots of heads. Bought my parts right here. 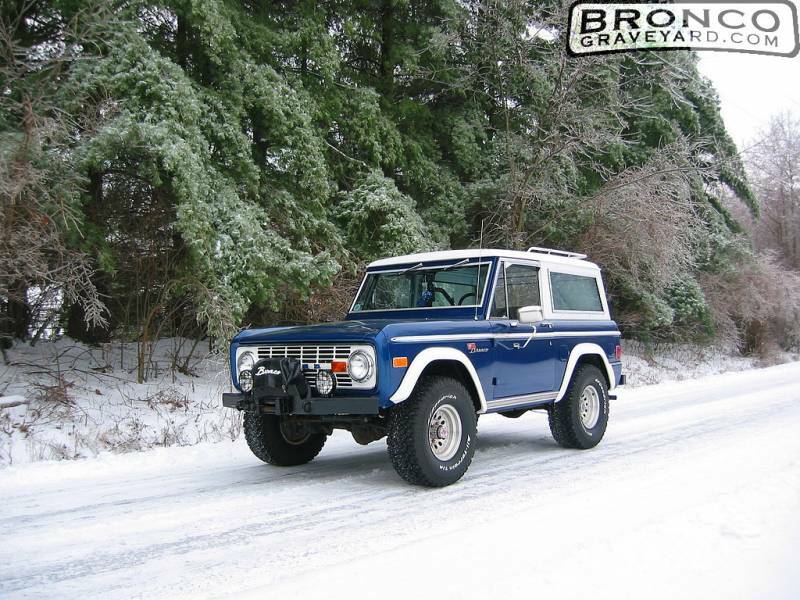 whats the color you painted that bronco? 2006 or 2007 Ford Rousch Mustang "Vista Blue Metalic" and the top paint is from the same car "High Performance White". It is a base coat, clear coat.